If placing your order by phone, then simply mention to the sales representative that you are a previous customer who qualifies for this credit, and after the sales rep has validated your information then they will apply the credit to your order. If placing your order through the Woodland Mills website, then you will need to complete your order without the credit being applied. After your order has been placed, a sales representative will contact you to verify your order and shipping details, at that time you must mention to the sales representative that you are a previous customer who qualifies for this credit, and once your eligibility has been confirmed then your order will be adjusted to include the credit. 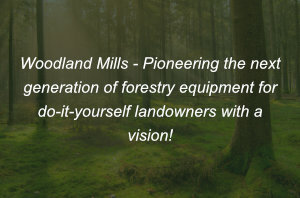 If placing your order through the Woodland Mills website, then after your order has been placed a sales representative will contact you to verify your order and shipping details. At that time, simply mention to the sales representative that you were referred to us by a previous Woodland Mills customer who may qualify for this credit, once the sales rep has confirmed their eligibility then they will apply the credit to the referrers customer profile.